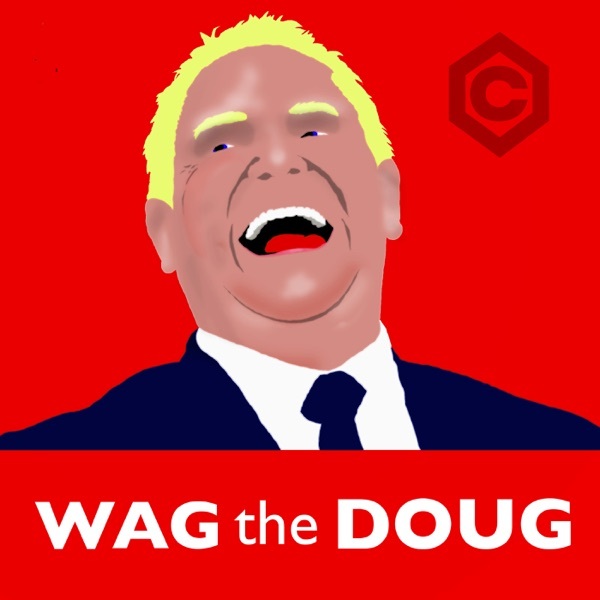 Discover Wag The Doug Ep.4 - Live From Ford Fest! An old friend of the Ford family has been appointed to head the Ontario Provincial Police, a job many consider him to be under-qualified for. We look back to Doug's history with Ron Taverner, as well as the group of unofficial advisors who surrounded the Fords for years. Plus, we introduce a new segment called... wait for it... "For the People." Ep.3 - What's So Funny About Peace, Love And Notwithstanding? Two months in, the Ford government just lost their first lawsuit. What makes it even more humiliating is they lost to Elon Musk. There are many other legal battles in the works. It's only been a month. Queen's Park Today publisher Allison Smith follows every move Doug Ford makes. CANADALAND news editor Jonathan Goldsbie covered him for years as a City Hall reporter. They're here to make sense of the chaos of the new Ford era. We will keep making this podcast if you want to hear it. So if you want episode 2, tell us! And tell other people to listen.